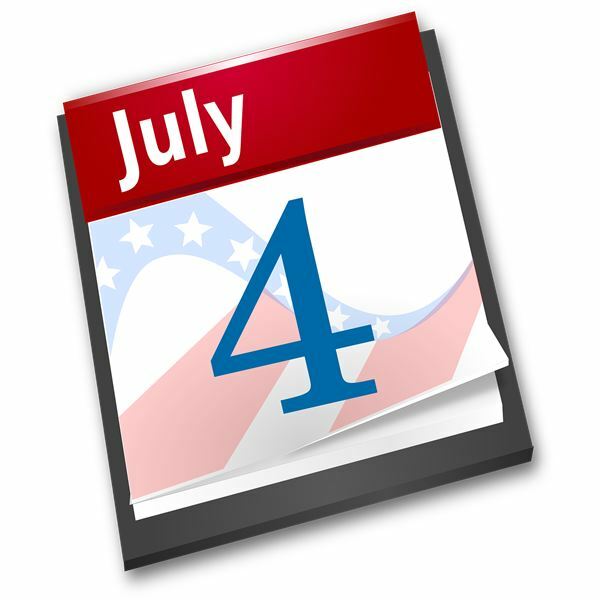 During story time, read books that discuss the Fourth of July and why we celebrate this holiday. Discuss the subject before and after a story to discover what students know and what they have learned. These books will also help them make connections of text to text, text to world and text to self. A Fourth of July story time selection of books is below. You can use the book selection to teach about the Fourth of July and the meaning it has to Americans. Do not forget to have the children look at pictures and make predictions before reading. Stop periodically to go over vocabulary and discuss the story to make sure the children are following and comprehending what is being read. Language skill building and vocabulary building can be done by naming the new words we are learning about the Fourth of July/ Independence Day. An example would be hold up a patriotic picture and have the children name what they see in the photo, such as a flag, star or patriotic colors (red, white and blue). Visual cues help children learn words and concepts. Use American flags as manipulatives to count and match to the numbered picture card. Number index cards and place the corresponding number of flag stickers on each card. The students will place a flag manipulative on top of each sticker counting as they place the flag on each flag sticker. This helps fine motor as well as counting skills. During craft time give each preschooler a toilet paper roll to paint in a patriotic color. Have the students decorate the toilet paper roll with stickers and star garland to create napkin rings or stick the garland straight up out the top of the roll for a table decoration. They will look like little firecrackers when done. During snack time, give preschool students graham crackers and red, white and blue icing in little cups. Have the students decorate their graham crackers using the popsicle sticks. Top with using whipped cream and fruits such as blueberries, and strawberries (or cherries), if desired. This can be done with a variety of other foods such as cupcakes, cake or cookies. During snack time, give preschool students both graham crackers and red, white and blue icing in little cups. Have the students decorate their graham crackers using the popsicle sticks. Top with using whipped cream and fruits such as blueberries, and strawberries (or cherries), if desired. With this Fourth of July Preschool lesson, students are sure to enjoy the holiday celebration while learning about its meaning.